Over the past week we’ve received numerous questions, emails, and phone calls from our customers and potential customers who are using Aruba Networks or considering Aruba Networks about the acquisition announcement from HP. I’m writing this article to answer those questions and provide some feedback on what we’ve found out from the Aruba team this week at Atmosphere 2015 and what the acquisition likely means. I have been in meetings with the Aruba founder/CTO and CEO, as well as other members of the leadership team. However, this blog is entirely my (Philip Wegner) opinion. 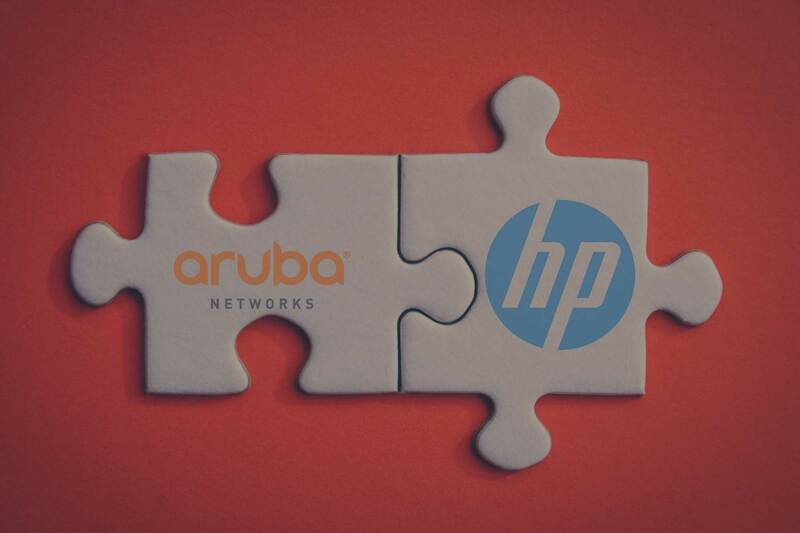 Last week rumors started about a potential deal in which HP would acquire Aruba Networks. I have to admit that my initial response was frustration with a little bit of disgust. Why would Aruba sell out now? Why would they allow HP, a company with a less than stellar track record for acquisitions to come in and destroy the Aruba brand that our customers have grown to associate with innovation and a “customer first, customer last” philosophy? I spent last weekend a little bit anxious because we’ve encouraged customers to invest in Aruba. In addition, SecurEdge Networks as a company has invested heavily in the Aruba Networks platform. Yes, we’re a solutions provider that could recommend other products to our customers. But for many years now, we’ve evaluated the other solutions on the market and Aruba has continually had the best technology, the best customer experience, and the best overall value from our perspective. And after hundreds of successful Aruba Wi-Fi deployments, I came into Aruba’s Atmosphere 2015, the annual meeting of “AirHeads”, not knowing if that relationship was going to be torn down. Already there are companies out there (mostly competitors of Aruba) that are sharing incorrect information. 1) HP, a $110 billion dollar conglomerate is acquiring Aruba Networks for around $3 Billion. The transaction amount is listed as $2.7 Billion but the transaction involves a reverse acquisition of part of HP at $300 Million. 2) Aruba Networks is acquiring HP’s campus networking group which includes their campus switching portfolio. This division (outside of China) is a $1.4 Billion dollar operation. It’s made up of around 2,000 employees and has the second largest market share for this product segment only to Cisco. 3) The boards of both HP and Aruba have approved the deal. It’s pending regulatory approval and will most likely be completed between May and Oct 2015. 4) The Aruba Networks brand name will not change, nor will any other Aruba branding. Any new products released will be branded Aruba Networks. 5) Aruba Networks will be a subsidiary of HP. It will be run by Dominic Orr- Aruba President and CEO, Keerti Melkote, Founder and CTO of Aruba. As well as the entire Aruba Networks management team. 6) The new Aruba Networks organization will be $2.4 Billion in revenue (more than 3X Aruba’s last full fiscal year). The number of human resources will double when the transaction takes place. So that is the overview of the transaction that is taking place. But what does that mean to Aruba customers and partners? There is no way to predict the future with 100% accuracy, however, we can best predict what will happen by looking at how the transaction is taking place, the history and motivations of the team involved, and what the new Aruba Networks will look like. First, how was the transaction structured? The fear when a company the size of HP buys a much smaller company is that they’ll incorporate the product or technology into a particular division, pull out the pieces and parts of the technology that they want, and finally, disband the leadership team and real innovators that made the company successful to begin with. This was my knee jerk reaction when I heard about the HP acquisition of Aruba….until I read the details. The reality of what is happening here is that the HP leadership team has taken its campus switching business, and put it underneath the Aruba Networks leadership team. I’m not sure I’ve seen a merger where the acquiring company splits off a piece of itself and essentially tells the company it acquired they want their leadership team to take it, and run it as its own. This signals that HP sees that campus networking is now driven by Mobility, and that the future of networking is to build software defined, mobile networks. There was already an article posted in Network World that suggested that Aruba Wireless would be a “bolt on” product to HP switching. I agree that the 3Com and Colubris acquisitions by HP were making Wi-Fi a bolt on to switching. However, in this case, the HP switching line will now be complimentary to Aruba Wi-Fi, not the reverse. So I have to disagree with Cisco’s assessment of the transaction. This signals a fundamental shift to mobility first. Second, who are the players involved and what do they want? The HP leadership team today is led by Meg Whitman, CEO of HP. She has some relevant history we can look at as far as acquisitions. You may recall Meg Whitman ran eBay when they famously acquired PayPal, which turned out to be a tremendous acquisition. Most people, unless they follow the technology industry, don’t even know that PayPal is actually a division of EBay. State of the art wireless technology- Aruba has the industry’s best mix of 802.11ac technology in my opinion. The access points and product set is diverse enough for almost all industries. But more importantly, the architecture is flexible to match the goals of the end user, it can be Controller Based, Controller-Less or even Cloud managed. Something HP badly wants. Aruba’s Salesforce- Aruba has a salesforce that is much more in the day to day fight with Cisco. Whereas HP’s salesforce is much more behind the scenes and sell more through online retailers. Aruba give’s HP feet on the street, HP gives Aruba a tremendous inside sales force. AirHeads community- Aruba has an active community of thousands of loyal engineers from customers and partners all over the world. The community interacts online and in person at mobility events that take place regionally as well as one large event yearly called Atmosphere. The amount of information shared helps customers solve each other’s problems. It also helps drive the innovation at Aruba by feature requests and feedback from the community. Leadership Team & Culture- Aruba has a culture that innovates quickly and puts customers first. That type of culture starts with the leadership team. They’ve been able to continually drive new products that have been the best performing in the industry. But they’ve been able to grow rapidly and still manage to not be so big that they don’t care about customer’s challenges. Our first-hand experience is that we’ve never seen Aruba’s technical team walk away from an issue a customer has had without resolving it. Even if that means we’ve had to change the product code to fix the problem. This type of attitude and willingness to put customers first drives loyalty in partners and the customer base. Specialization- Specialized focus drives higher margins in products. Aruba has always had a focus on Wi-Fi technology and has been able to keep it from being commoditized as fast as other technologies. High Growth Technology- 802.11ac is being adopted at a tremendous rate, and industry experts are predicting the market is going to continue to explode. Aruba is growing at an annual rate of 25-30% year over year. HP’s switch business is growing at only 4% a year. Instead of bolting on Aruba wireless to HP switching, HP is putting switching underneath Wi-Fi. The Aruba team is led by Dominic Orr, CEO and Keertie Melkote, Founder and CTO. Dominic signed a three year agreement to be CEO of Aruba in 2006, nine years later he’s still there. 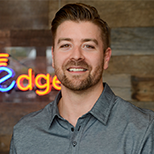 Keertie, Founder and CTO, originally worked for Cisco years ago, before starting Aruba Networks in 2002. So, what motivates Dominic and Keertie to merge with HP? Both of them believe that they have better technology than anyone, and they want the resources and backing to prove it. Global Reach- HP has a global distribution channel. Aruba historically has been very good in the US, but there are huge opportunities in the international markets as well. HP gives them instant global reach including international distribution, sales channels, and more manufacturing resources. Capital- Aruba has for years produced profitable quarters that met Wall Street expectations, but the stock has still been relatively flat. To complete with the big guys, they need more capital for research and development. HP gives them backing that would take them years to build on their own. Plus, the truth be told, I think Dominic would rather report to one person rather than answer to everyone on Wall Street. Switching Portfolio- Aruba is really known as a Wi-Fi company. You probably didn’t even know that they have a switch line. Aruba has historically had a very profitable Wi-Fi business but struggled to have the same profitability and scale with their mobility switches. And frankly, the industry never took their switching capabilities very seriously. HP on the other hand, is the second largest campus switch vendor only to Cisco. 802.11ac wave one and two are requiring many customers to upgrade their wired networks to support the faster speeds. Aruba now has the resources, manufacturing, and ability to deliver unified network access. They have the #2 switching vendor under their umbrella which puts them in line to capitalize on the closet refreshes that are coming. Leads- HP has relationships with more than half of the fortune 1000. Aruba sees this as an opportunity to gain access to a gigantic lead generation machine. They can now walk their sales teams into much larger accounts by tapping those existing relationships. In addition, HP has a massive inside sales force to compliment Aruba’s strong outside sales team. Small to Medium Enterprise customers- Aruba’s small to medium size customer segment is growing at over 100% a year. HP switching is inexpensive, has lifetime warranties, and has tremendous penetration in the small to medium size business space. Aruba is betting that it can grow market share in the SME space even more quickly with the HP switching line under its umbrella. So what does SecurEdge expect from the new Aruba? What should customers expect? The new Aruba Networks will combine the best Wi-Fi technology with the #2 campus switching business in the world. It will have double the amount of human resources it has today, it will have global reach, and it will have three times the revenue it has today. The new Aruba Networks will be run by the same leadership team, except now that team has the backing of one of the largest technology companies in the world. I’m expecting Aruba to continue leading the industry in 802.11ac, but they’ll also broaden the product set to include all network access.